Every dashing pirate needs a malevolent villain and the epic ballet Le Corsaire is no exception. Attempting to foil the charming pirate Conrad’s attempt at happiness with his beloved Medora is the evil slave-trader Isaac Lankadem. There is hardly any saving grace to this character who appears consistently immoral in every restaging of Le Corsaire. Lankadem preys on the weak. He kidnaps women and sells them off to the highest bidder. Even when he is captured by Conrad, all his efforts to escape is in the hopes of returning to his old ways and selling Medora to the Pasha. But his vileness is what makes Lankadem an essential character in Le Corsaire. His evil ways helps the audience appreciate and sympathize with Conrad who – as a pirate – is not exactly a paragon of virtues himself. In the original choreography by Joseph Mazilier in 1856, the role of Lankadem was written as a purely mimed role, just like Conrad. But after Marius Petipa had to add a segment for two anonymous slaves in order to give a special role to prima ballerina Marfa Muravieva in the 1858 staging of the ballet in Russia, the variation featuring the “two anonymous slaves” eventually became identified with Lankadem and Gulnara. This is now known as the Pas d’esclave. The choreography being performed by many of the ballet companies today is based on the 1931 version created by Vakhtang Chabukiani. Apart from Vakhtang Chabukiani, other noted danseurs who performed Lankadem were Konstantin Zaklinsky, Anton Korsakov, and Viacheslav Samodurov. Ballet Manila’s own roster of Lankadems through the years include Jeffrey Espejo, Eduardo Espejo, Alexander Zubkov, Christopher Mohnani, Francis Cascaño, Glenn Ragel, Rudy De Dios, Romeo Peralta, Harold Salgado, Manny Febra, and Alfren Salgado. For Ballet Manila’s 2018 restaging of this pirate adventure, principal dancers Rudy De Dios and Elpidio Magat Jr. are taking on the role of Lankadem. 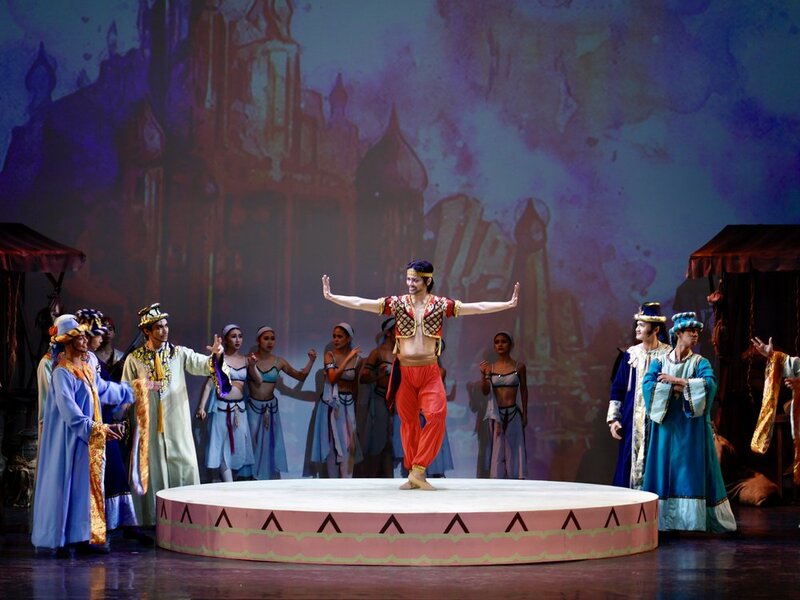 Le Corsaire is the company’s second offering for its 23rd performance season. The shows are slated for October 20 at 6 p.m. and October 21 at 3 p.m. in Aliw Theater. For tickets, log on to www.ticketworld.com.ph.